Haitian government delivered his diplomatic passport in the month before his return and in this context, the South African Cabinet Minister Collins Chabane had said, " if he wants to go we can't hold him hostage." 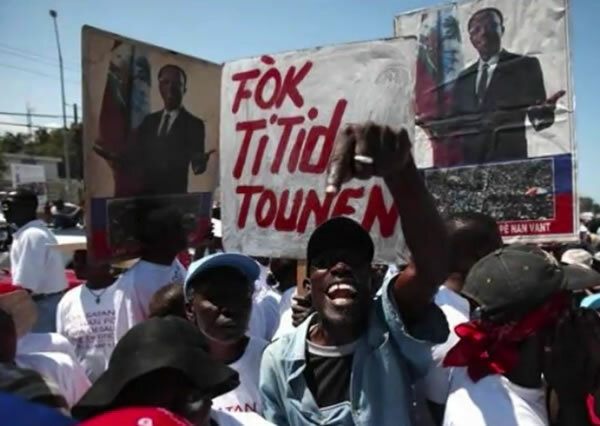 People in the Haitian political circle were of opinion that any of the election winners could reverse his long awaited return. His return just before the election was not liked by the U.S.. Even at the last moment, they were exerting pressure on South Africa to delay his flight. As a two time President, he was never able to complete his terms. The first time he was ousted from power in a coup, but restored later through a military intervention in 1994 and during the second time, a rebellion in 2004 forced him to escape from the country. Aristide was a former slum priest in his early life, very popular among the poor Caribbeans.